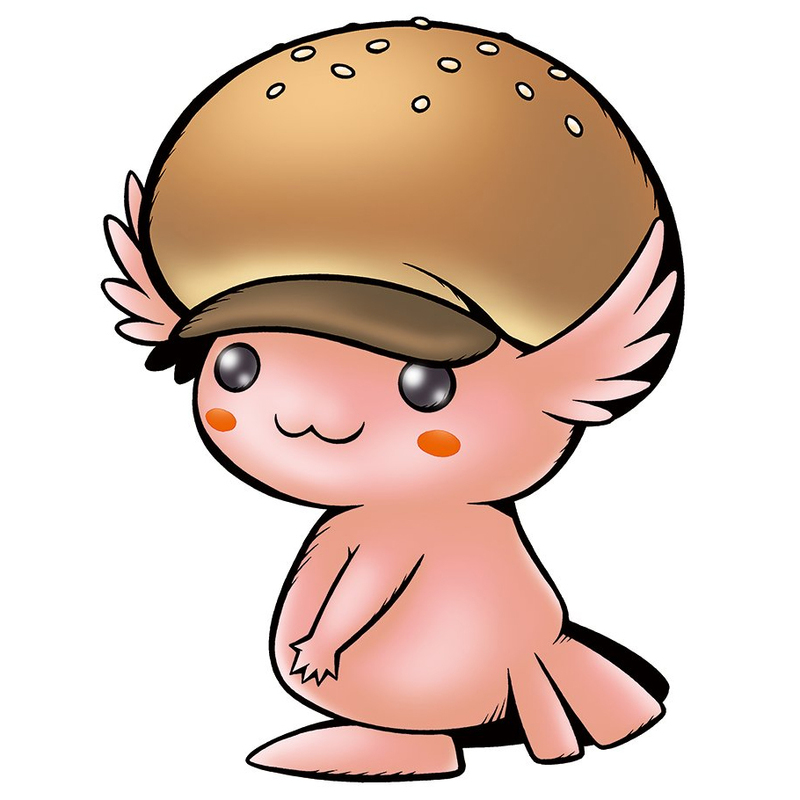 A Digimon that took in food data. 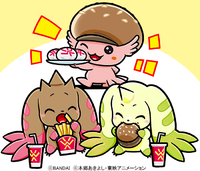 Maybe because it consists of the selected ingredient data, it is a Digimon with a pure heart. Ebi Burgamon is a variant species of Burgamon, and has taken in the ingredient data of fresh shrimp. 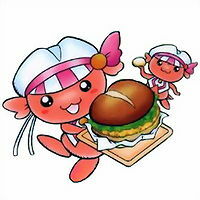 Its Special Moves are its "Fresh Shrimp" and "Hot Cutlet", which produce smells savory enough to stop the opponent in their tracks. 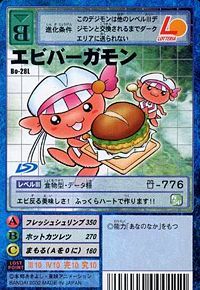 n., Ebi 「蝦（エビ）」 means "shrimp"
n., Derived from Burger 「バーガー Bāgā」 and is an overall reference to the Ebi Burger, a food product released exclusively at Lotteria restaurants. An Ebi Burgamon is seen serving food on Trailmon Buffalo. Ebi Burgamon is available as a Digimon Medal. Ebi Burgamon can be obtained by scanning the barcode "0000000740311". Shrimp-arched tastiness! Made with a fluffy heart!! This page was last modified on 15 April 2019, at 08:26.